Keep reading for the full breakdown of how I did it, more pictures, and source files for the 3D models. 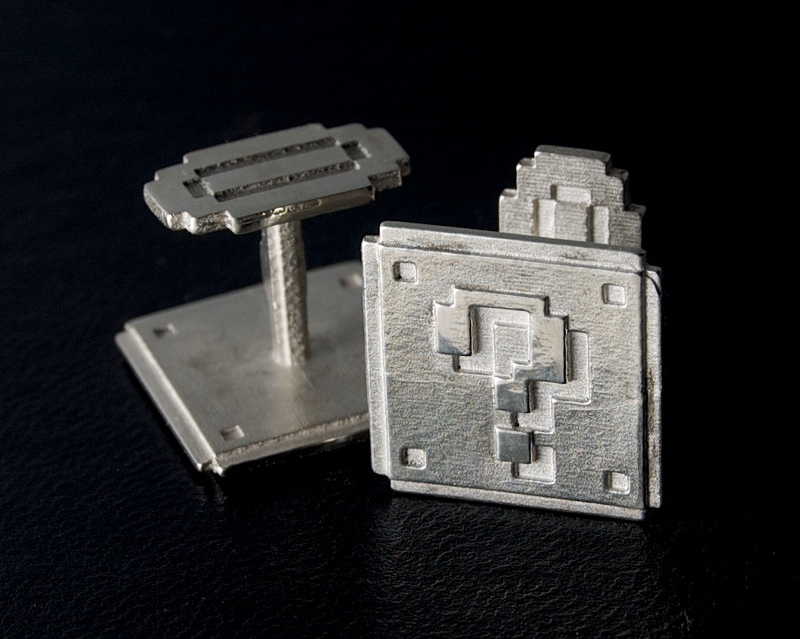 This was the easy part: I made the 3D models (OpenSCAD for the cufflinks, Blender for the crowbar), uploaded them to Shapeways, and had them printed in their Frosted Ultra Detail material. 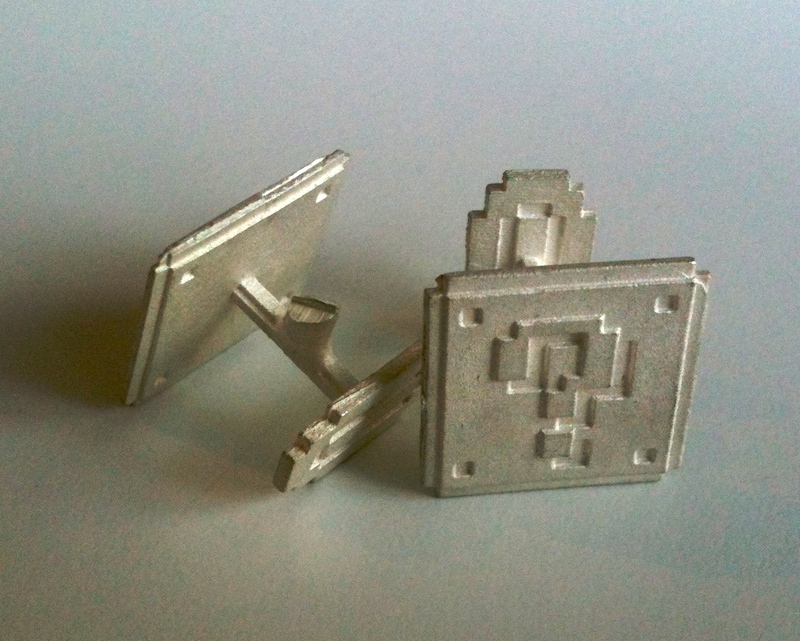 If you’re interested in printing your own or modifying the files, here are the cufflinks (Shapeways, Thingiverse) and the crowbar (Shapeways, Thingiverse). In addition to being a skilled jewellery-maker, my friend Norah professionally solders circuit boards for satellites. She is a total maker hero, and patiently indulges my requests for metallurgy and soldering help and advice. Norah pointed me in the direction of HL Casting, one of several professional casting businesses here in Toronto. The people at HL were a pleasure to work with. For about $20 each they made rubber molds of my originals. These molds are then injected with wax, which is then used to perform lost-wax casting to make the silver copies. The real work begins after the silver has been cast. At the point the pieces are whitish, have a piece sticking out from where the silver was poured (called a “sprue”), and show marks from the seam in the mold. Norah and I removed the sprues using a jeweller’s saw (which cuts through silver like a knife through hot butter) and filed down the marks from the mold, and polished them with a combination of tumbling in a polishing agent and detailing by hand. All told, it was several hours with of labour (including Norah teaching me what to do) spread out over three or four afternoons. Why not just print in silver? 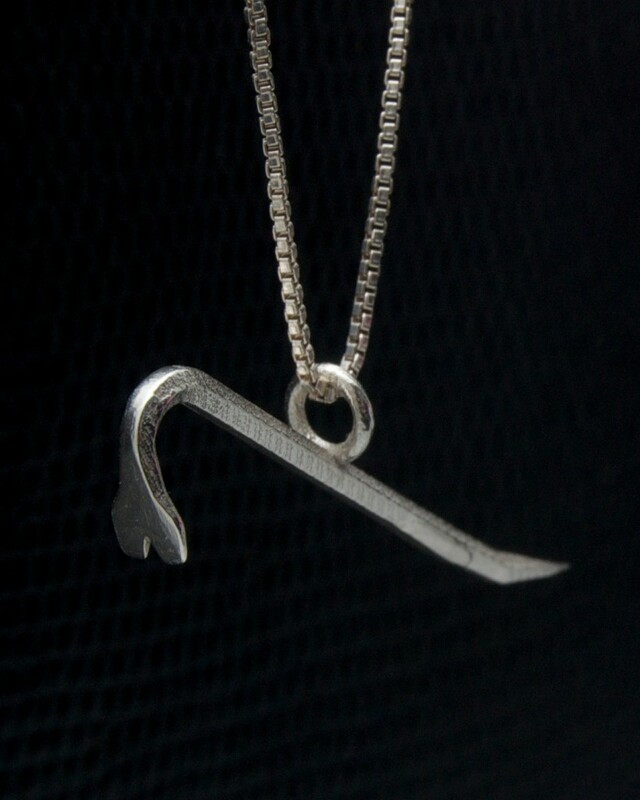 For the most part I’ve been happy with Shapeways’ sterling silver prints. The main place it falls short for me is pricing ($30 flat + $20/cm^3). If you’re making very small pieces, or multiple copies of the same piece, it’s much more economical to use a reusable mold. There are also other benefits to doing one’s own casting: it sidesteps Shapeways’ design restrictions for silver. That means much higher detail, more control, and multi-piece items become financially feasible. A mold can also be used for other materials, like gold, if you’re so inclined. The downside, of course, is that it takes a lot more time and effort. Would I do it again? Probably. I’d say the choice between casting it myself and having Shapeways do it really depends on the piece itself and my mood. Both ways have their merits, and I’m happy to have both options available to me. 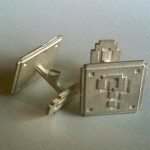 Hi, I’m also a Shapeways member, north of Toronto. Could you send me an email with the approx cost to make the pendant and cufflinks? I too make jewellery and find the cost on SW a bit prohibitive for small items. The molds cost about $20 each to make. If I recall correctly the crowbar cost about $3 and the cufflinks cost around $11, although I can’t remember if that was for a single link or for the pair. I highly recommend HL, they were a pleasure to work with. Hi Jonathan – this was just the article I was looking for… I’ve just done a direct lost wax cast of a FUD model in bronze, with horrible results. The casters are now attempting to do a hot vulcanized rubber mold of a piece instead, but they are concerned the heat of the rubber when poured will distort my fine details — did you get hot vulcanized rubber molds made , or did they use the cold rubber process? ( which I’m told doesn’t capture detail as much ). Thanks ! I’ll be honest, I’m not sure what they used! I just gave it to them and they handled it. To be fair, though, I didn’t have any extremely fine details on mine. Thanks for the wonderful article Jonathan. I’m new to casting and the entire process myself. I couldn’t find a website for HL Casting and was wondering if they have the kiln, tumbler etc and other equipment to cast and finish the final object in silver? or did you go to another place to get that done? I want to turn some of my jewelry design into reality and can’t afford to buy any equipment myself… would appreciate it if you could tell me if there are places I can go to get them made. I used a friend’s equipment, so I don’t actually know if HL offers those services. If they don’t they may be able to point you in the right direction. I know there are a few places in Toronto that offer silversmithing classes (Like Nanopod and Organic Metal Gallery), and they also may be able to help. Last but not least, I always recommend going to the open house nights at Site 3. There’s always a shockingly diverse array of skills and tools available there, so someone may have what you need. I am involved with lost wax casting and hopefully can fill in some of the missing information and answer any additional questions.. I feel where the article mentions the downside of it taking a lot more time and effort is misleading. 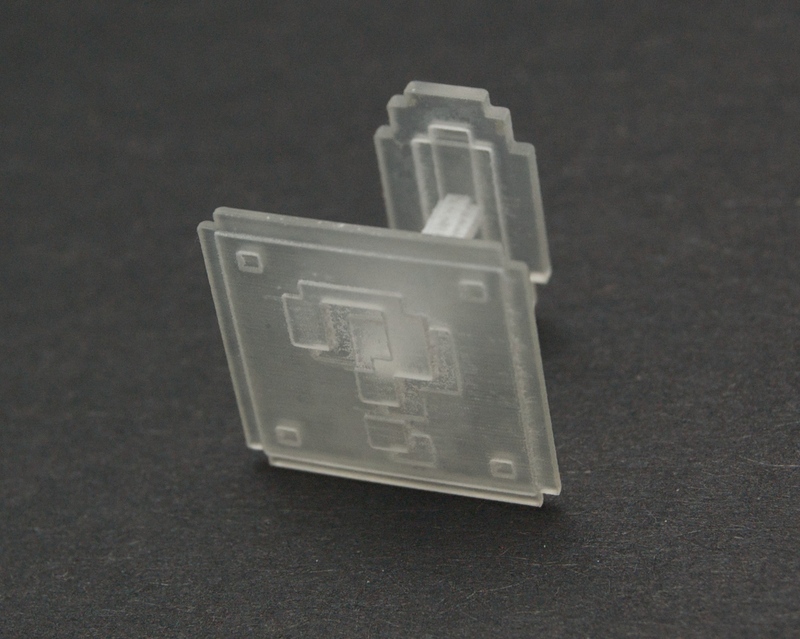 If the item to be produced calls for multiple pieces it would certainly take less time to print one prototype, cast and clean. Once properly prepared the model can be molded and reproduced many times with minimal cost and finishing. 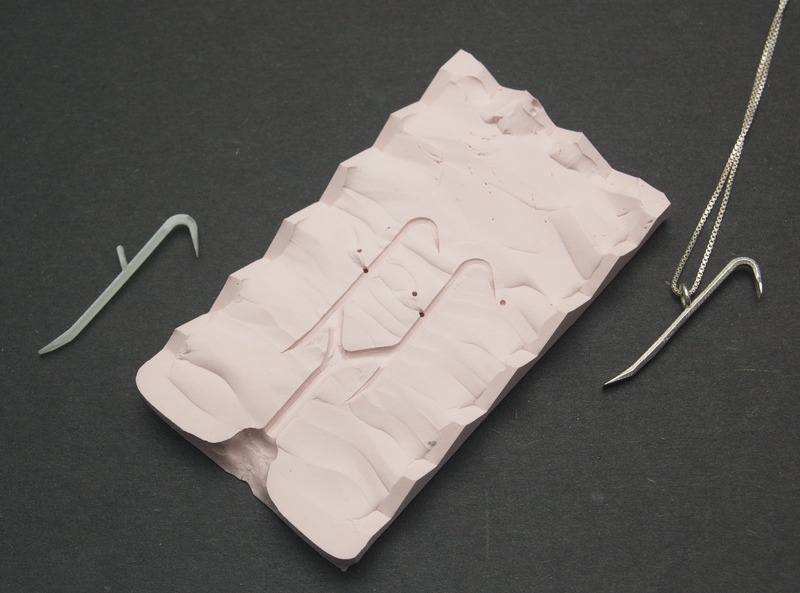 When the model is prepared properly very little time has to be spent on the additional pieces after casting. You also end up with pieces that are more consistent in size and weight. When Jordan talks about the horrible results of the model that was cast it is probably because the material used for printing was not the best choice for casting. If I am given a print to cast that I am not familiar with I will ask first for the file and if not available I will mold the print so I can inject a wax that is more favorable to the lost wax casting method. People are just becoming aware of 3d printing and are anxious to produce their designs, what they don’t realize is that lost wax casting has been used for over 100 years. It is not always necessary to reinvent the wheel!